SQLite3 is a very light-weight, server-less, database-in-a-file library. See www.SQLite.org. This package is a wrapper of the SQLite3 C library and follows it closely. There are basically two use modes: (1) calling "Execute SQL" on a Connection to run SQL scripts (and optionally return 2D arrays of strings from an SQL statement that returns results); and (2) "Preparing" a single SQL statement and executing it step-by-step explicitly. The advantage of the later is the ability to "Bind" parameters to the statement, and get the column data back in the desired datatype. The "Bind" and "Get Column" VIs are set as properties of the "SQL Statement" object, for convenience in working with large numbers of them. See the original conversation on this here. 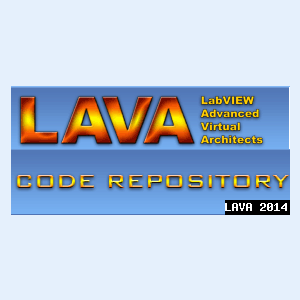 Now hosted on the NI LabVIEW Tools Network. 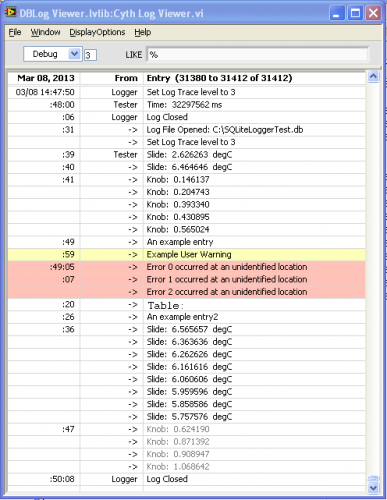 A logger and log viewer using an SQLite database. The logger is a background process that logs at about once per second. A simple API allows log entries to be added from anywhere in a program. A Log Viewer is available under the Tools menu (Tools>>Cyth Log Viewer); this can alternately be built into a stand-alone executable. Requires SQLite Library (Tools Network). Log Viewer also requires [CR]Shortcut Menu from Cluster and the JKI StateMachine Toolkit (Tools Network). 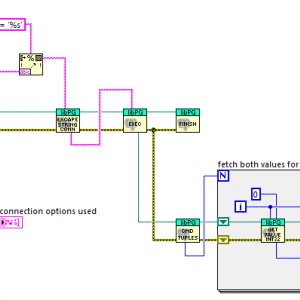 â€” Version 1.4.0 is the last available for LabVIEW 2011. 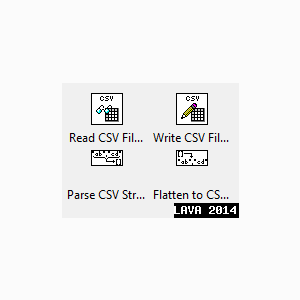 New development in LabVIEW 2013.
â€” newest version requires VIPM 2014 or later for install. This is a package containing LabVIEW bindings to the client library of the PostgreSQL database server (libpq). The DLL version 9.3.2 and its dependencies are included in the package. This DLLs are taken out of a binary distribution from the Postgres-Website and are thread-safe (e.g. the call to PQisthreadsafe() returns 1). As of the moment the DLLs are 32bit only. 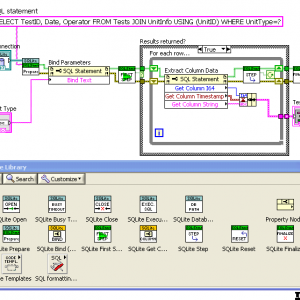 The VIs are saved in LabVIEW 2009. So this package works out of the box if you have a 32bit LabVIEW 2009 or higher on any supported Windows operating system. Because this obviously is a derived work from PostgreSQL it is licensed by the PostgreSQL license. A few words regarding the documentation: This package is meant for developers who know how to use the libpq. You have to read and understand the excellent documentation for the library. Nonetheless all VIs contain extracts of that documentation as their help text. The Microsoft Data Access Components (MDAC) provide the Data Link Properties dialog box as the common user interface for specifying connection information to a data provider on Windows 2000 and later operating systems. You can use the Data Link Properties dialog box to save connection information in a universal data link (.udl) file. Universal data link files (or '.udl files') provide a common user interface for specifying connection attributes. A user can use a Data Link Properties dialog box to save connection information in a .udl file as an alternative to directly specifying them by hand in a connection string. Consequently, these files provide a convenient level of indirection. This example is used to generate UDL File. This file is used to connect SQL database. 3. 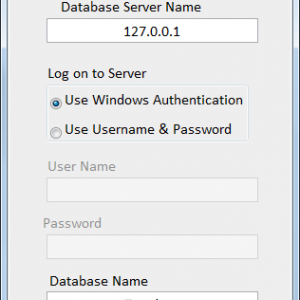 Enter Database name and click OK button. search for the "Create_UDL_File_LV2010" support page. All files must be located in the same directory. Unzip and place the folders Calculations, DB_accessory, tests, InputOutput, and Templates into one location in your file hierarchy, for example, all in user.lib. If you already have folders with some of these names, simply copy the contents into your folders. Examine the example VIs in the "tests" folder. How would you like to cram infinite data into finite file space, with rapid reads and writes? Sorry, I can't deliver that - but this may be the next best thing. These files allow the programmer to maintain a fixed-sized representative sample of data, regardless of how many data sets are accumulated. The storage may be in the form of a shift register (a.k.a. VI Global) - VIG_self_decimating.vi performs this job - or in the form of a binary file on disk - VIG_decimation_indices.vi and write_decim8_REentrant.vi do that job, with help from other VIs included as subVIs in test_decim8file_V101.vi. Note that the binary file VIs are polymorphic for storing 2D DBL arrays, 1D i32 arrays, and a few other types. It is straightforward to modify them to do other formats, or to modify the VI Global likewise. Each time the storage fills up, the decimation factor doubles, and the storage begins to fill with the data at the new lower frequency, overwriting previously stored data that had been logged at a higher frequency. New subVIs allow ease of reading decimated files, one record at a time. Handles ID3v1 and v1.1 tags from MP3 files. Tags can be read, written, and deleted from files. This package does not handle the more complicated ID3v2 tags. Requires oglib_file and oglib_error available from www.openg.org. 1.0.1: Added Validate ISO 8859-1 String to distribution zip file. The purpose of the VI is to demonstrate how to save all your application’s parameter in one central INI file. Using this method will reduce errors and eases debugging. 1: Can be used as a Central Data Repository for your Application. 2: It allows access to the Data via SET/GET method. It will allow parallel "READ-ONLY" access to the Data. 4: A Function to Save all of the DATA to an INI file. 5: A Function to Load a previously saved Data from the INI file.